The CUHK Business School is a leading business school and a pioneer in business education in Hong Kong. It was the first business school established in Hong Kong in 1963 and, the first business school to offer MBA and Executive MBA programs in the region. The School has over 3,800 full-time and part-time students and has the largest business school alumni network in Hong Kong with over 30,000 members. The School is based at the Cheng Yu Tung Building, Shatin, a world class 15 storey attractive teaching facility. The CUHK EMBA program was ranked 29th globally by the Financial Times (2018). 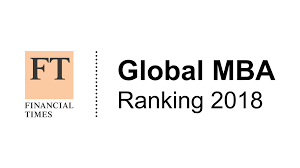 The CUHK Full-time MBA program was ranked 43rd globally in Financial Times (2018). In QS World University Rankings 2015, The Chinese University of Hong Kong was ranked 51st in the world. In QS World University Rankings 2015 by Subject - Accounting and Finance & Business and Management Studies, The Chinese University of Hong Kong was ranked 35th & 28th in the world. CUHK Business School is one of the first two business schools in Asia accredited by The Association to Advance Collegiate Schools of Business (AACSB). CUHK Business School is accredited by the Association of MBAs (AMBA), the top 2% of business schools in over 70 countries.